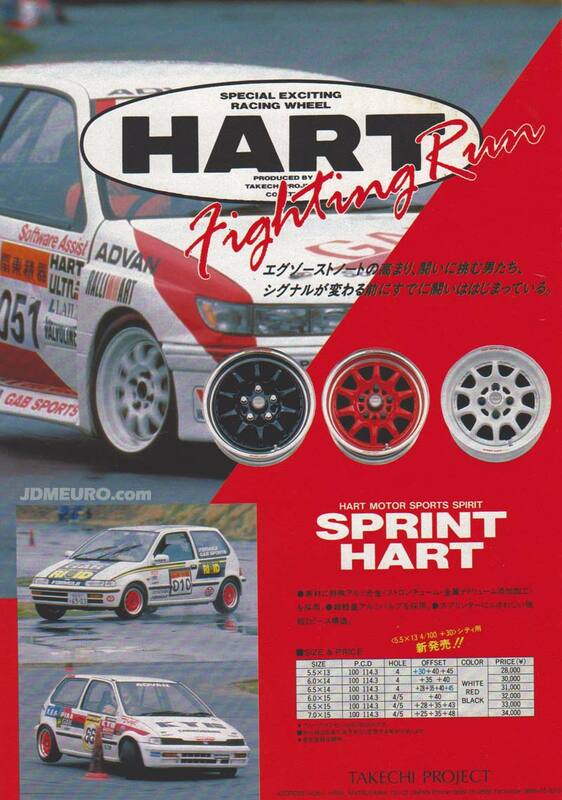 Sprint Hart CP by Takechi Project – The Predecessor to the more popular Sprint Hart CP-R was the Sprint Hart CP JDM Wheels. Most notable differences are the shorter and less spokes, the absense of the script on the faces and more conservative sizing in widths and diameters. The Sprint Hart Lineup by Takechi Project are all light weight track suitable wheels mostly of two piece welded construction.